Q: What impact have you seen Days for Girls have on the locations you’ve been able to visited? A: I have been able to go to Ghana and Guatemala to hand out kits and educate the girls and women there. Many of the girls normally use newspaper and dirty cloth because otherproducts were too expensive for them to use. Most of the women who received a kit were blown away that they could walk and go to school during their menstruation. Q: Do you have any stories that were particularly touching to you? A: The biggest thing was that we had the opportunity to empower the women and girls. I could see their eyes light up when we told them that they were important and that they were not just there to be used and abused, but to be loved. It was also great to watch them open their kits. They would get really excited when they found out they were given a pair of underwear. Their excitement really reminded me to appreciate the little things in life that we are so fortunate to have. Q: What aspects of Days for Girls have you been a part of. A: I have been lucky to be a part of every aspect of this program. 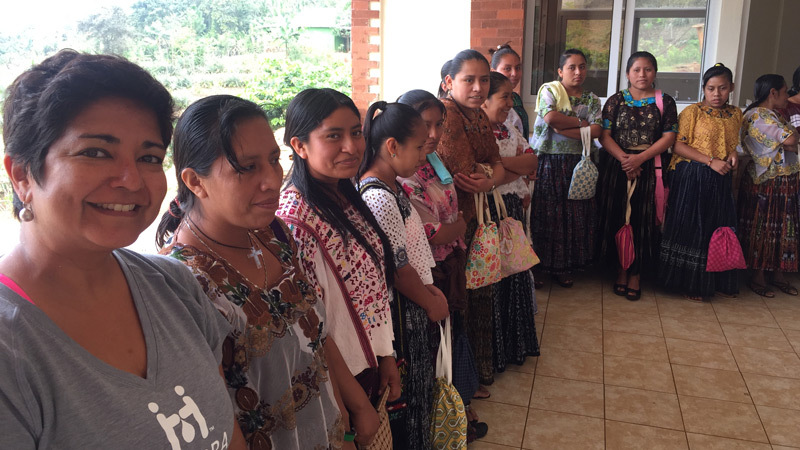 I have been able to hand out kits, make the kits, and teach classes to the women and girls. In the classes, we teach about how their bodies work, personal hygiene, personal care, how to keep the kits clean, and how to use all the components of the kit. I think it is so important to educate these girls and give them what they need to be able to properly care for themselves. Q: Do you have any other thoughts you’d like to share? A: I think people don’t realize what an impact they can have. Helping make the kits can make all the difference for the girls we go and visit. This program is trying to reach every girl and that requires a lot of help from a lot of people. Even if only one extra girl is helped, that can have a huge impact on her, the community she lives, and even the generations that follow her. Days for Girls works through volunteer efforts only. If you are interested in helping make, assemble, or distribute kits please visit: https://doterra.com/US/en/humanitarian-additional-projects-days-for-girls-hygiene.